The items in this photo were aquired from the House of Blues in Orlando Florida on Monday November 15, 1999. 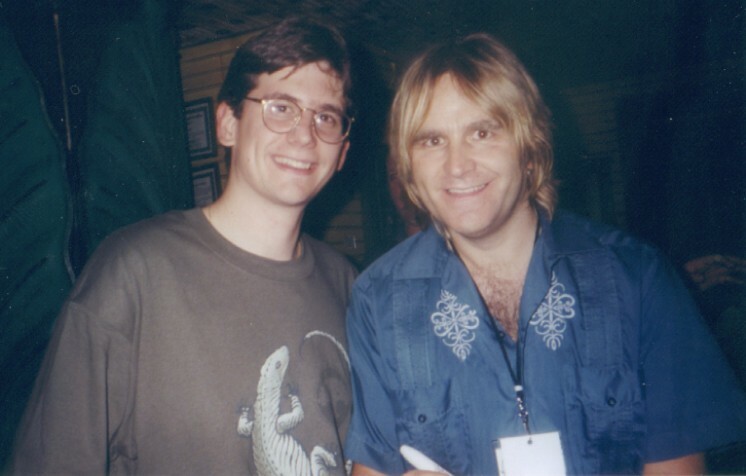 My wife Lynne and I were on our honeymoon and Mike Peters just happened to be playing in Orlando the week we were there. No, I did not plan this! When I found out that we were all going to be in the same town, I contacted Jules at the MPO. She hooked us up with free tickets (shown) and after show passes (also shown). We had dinner before the show at the House of Blues and then found Mike and Jules inside the club. Mike gave us this great Rise promotional poster. 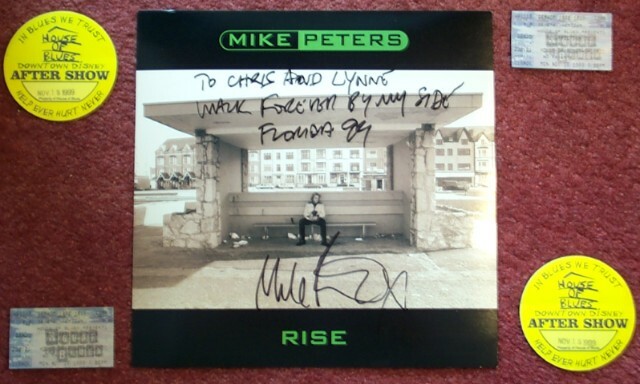 It reads: "To Chris and Lynne: Walk Forever By My Side Florida 99 Mike Peters." The show was incredible! Mike dedicated Walk Forever By My Side "to all those married couples out there in the audience especially one couple in particular." It was awesome! Thanks for a great time Mike and Jules! 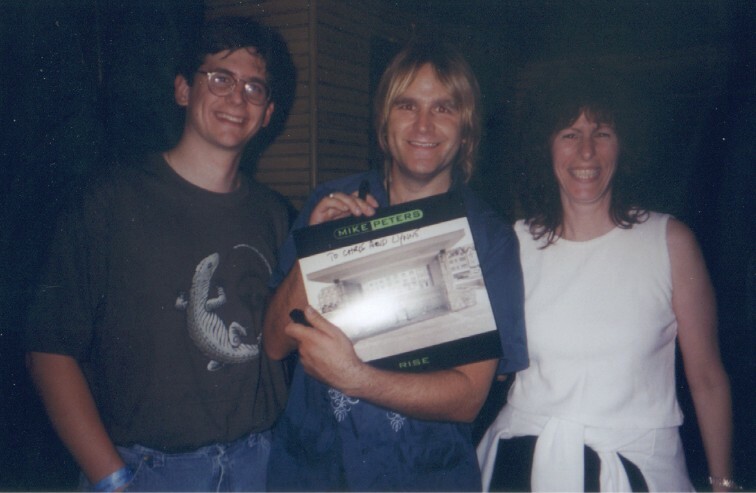 Here's a picture of Lynne and me with Mike as he's signing it. Here's a picture of me with Mike with the final product. 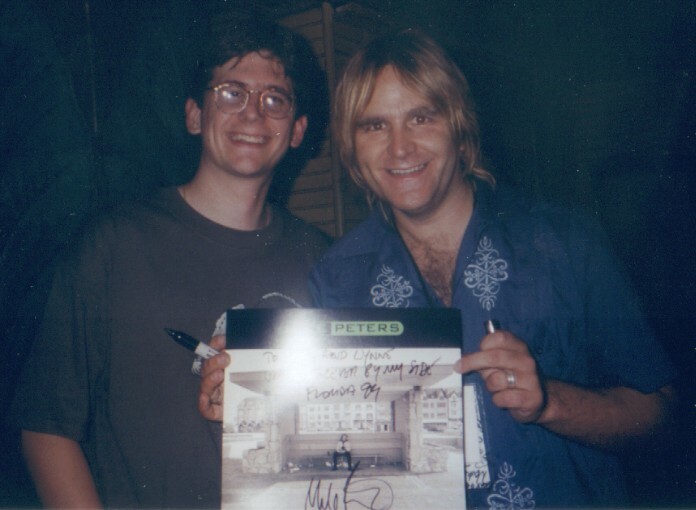 And finally a picture of me with Mike.